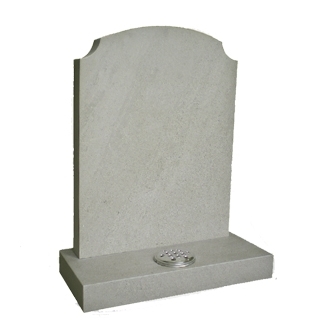 M70 - Ogee with Carved Flower Corners shown in Carrara marble - available in Marble, Stone & Slate. 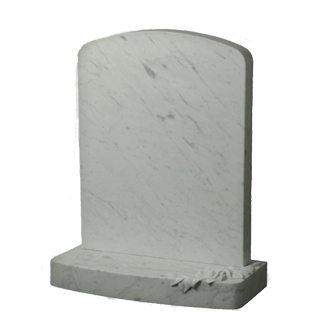 M71 - Square with Scollops shown in Carrara marble - available in all colours. 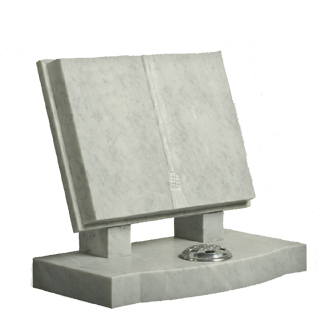 M72 - Rustic Ogee with Checks shown in Carrara marble - available in all colours. 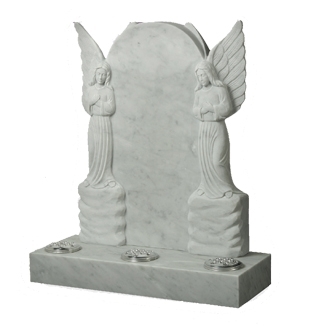 M73 - Round with 2 Full Carved Angels shown in Carrara marble and with 3 contailer holes - also available in Dove Grey. 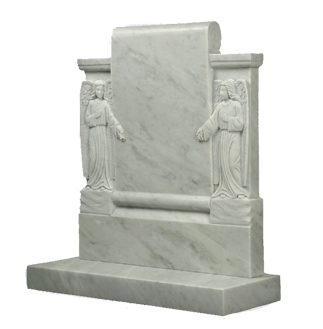 M74 - Scroll with Carved Angels shown in Dove Grey marble - also available in Carrara. 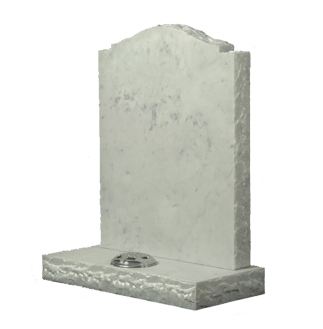 M75 - Bilble with Bow Base shown in Carrara marble - available in all colours. 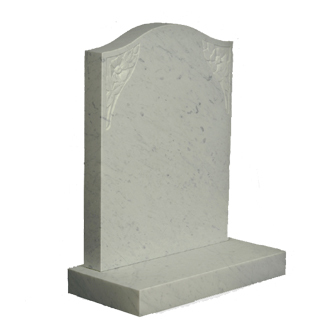 M76 - Full Round with Ogee Shoulders shown in Carrara marble - available in all colours. 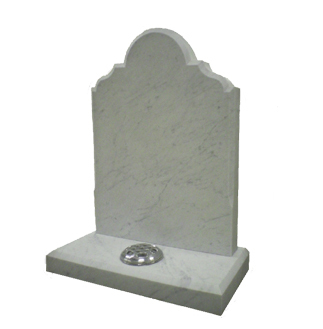 M77 - Half Round with Carved Rose accross corner of base shown in Carrara marble - also available in Dove Grey. Nurse and Payne Ltd Monumental Masons has been a family run business for almost a century, at a few locations across Swansea.